The Samsung NX300 is the first camera with 3g integrated. Thanks to this, it is possible to share pictures nearly in real time. The Samsung cameras are appropriate for a wide range of customers, from amateurs to professionals. But most of their customers do not know that. 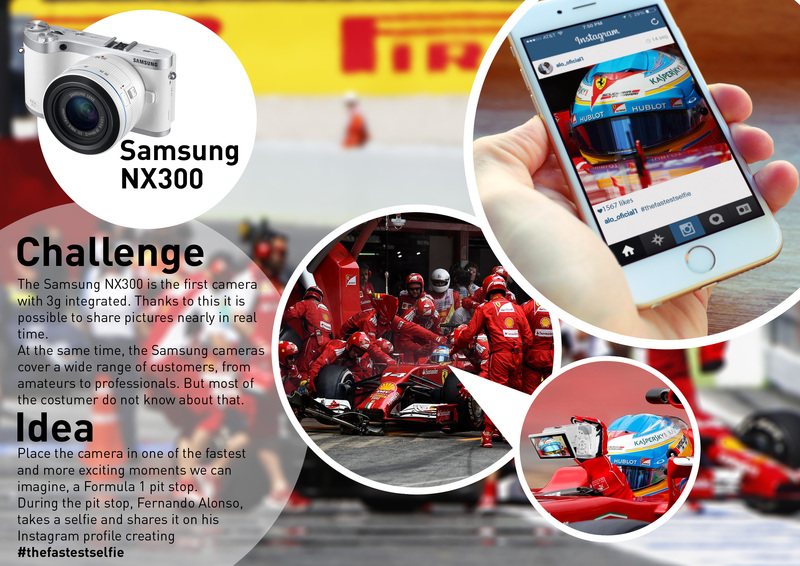 Place the camera in one of the fastest and most exciting moments we can imagine, a Formula 1 pit stop.